RICHMOND, Calif. -- A Muslim advocacy group Friday raised concerns about the release on bail of a man charged with making threats to Richmond's Muslim community. Celli was arrested on Sunday after a search warrant at his Richmond home allegedly yielded the discovery of a possible explosive. Police were following up on a tip that Celli threatened the community's Muslims. Officials with the San Francisco Bay Area chapter of the Council on American-Islamic Relations said Celli faces "serious allegations of targeting a religious minority with violence." 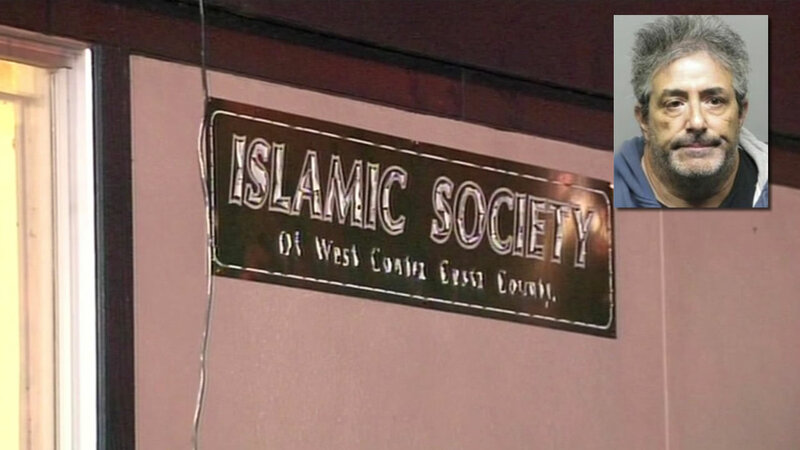 Executive Director Zahra Billoo said given that Celli is accused of yelling "I'm going to kill you all" outside the Islamic Center of West Contra Costa County, they were "shocked" to learn that Celli was released on bail Wednesday night. "Such a quick and easy release only serves to create the perception that the legal consequences faced by alleged terrorists are determined by their faith and ethnicity," Billoo said in a statement. Richmond Councilwoman Jovanka Beckles today said, "the threats made against our neighbors is not what our city and country is about." Beckles is helping organize an event today in support of the city's Muslim community. It's hoped to bring people together to decorate a mosque door at the Islamic Center of West Contra Costa County with messages of support.